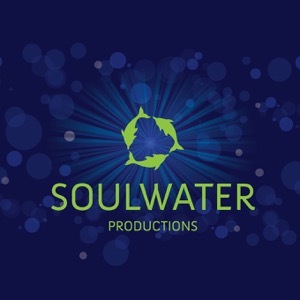 We offer underwater 3D and 2D production services, stock footage and equipment. We shoot exclusively in 5k and higher formats and focus on high production value. Our unique DeepX and 3Deep underwater housings are the first and currently the only housings allowing undistorted and true 4k (and beyond) images underwater. We also bring strong story telling and experience in blue chip natural history genre. 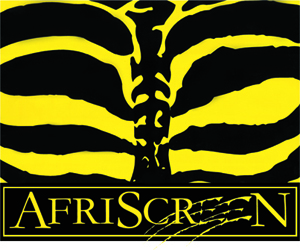 AfriScreen Films is a Botswana-based natural history production company. Our core team have worked in natural history, feature film, TV drama series and corporate film. All the experience, diverse disciplines and skills learnt are now melded into AfriScreen Films, where we have accumulated: 25+ years African wildlife filming expertise, 20+ years feature film and TV drama experience, 20+ years editing and post production skills and a lifetime of African bush skills and field operations. We produce our own films, film sequences for international productions and provide comprehensive fixing and facilitation services throughout Southern Africa. CV's welcome by email. Work experience offered for those with at least 3 years in the industry. Ammonite is an independent film production company. We have been in existence since 1994 making high quality, high definition films about science and natural history. 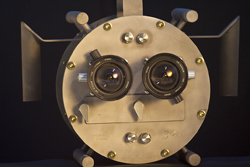 Ammonite develops highly specialised and innovative equipment such as image intensified night vision cameras and motion control systems. Ammonite's kit can be hired and we offer post-production services. We also have an extensive library of high definition film clips available for sale. Production: Full production service undertaken from initial planning to completed project. Any length project from short promo video to NGO presentation to full length documentary film. Editing: We can edit your project for you, or our static and mobile edit facilities are available to you to begin the edit process yourself whilst here in Thailand. Location Scouting: Use my 15 years experience of living and working in Thailand to help suggest best locations and seasons for your shoot. 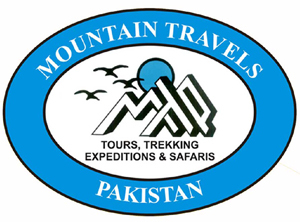 Staff: We can source local guides, wildlife experts, still photographers, camera crew, drivers etc. Pre-production: We can undertake many aspects of pre-production, in particular research, to help increase the chances of you getting the footage you need. Filming Permits and Work Permits: As a Thai based company we can apply for film and work permits on your behalf, cutting the red tape and the costs. Narration: With a neutral and clear British English accent and 10 years experience as an English teacher, my narrations are often appreciated by audiences for whom English is not a first language. To date I have narrated over 100 short wildlife films and several full length documentaries. 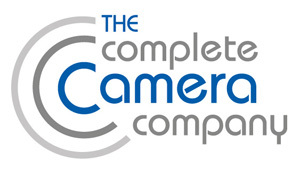 The Complete Camera Company are a camera consultancy and crewing company. We are here to provide you with truly objective advice on the best camera solution for your production. As a group we have decades of experience in every area of the UK television market. We have provided crews to many of the leading facilities and production companies and have worked on Bafta and RTS award winning shows. The company was co-founded by cameramen Paul O'Connor and Ben Hoffmann. Between them, they have over 25 years of experience providing companies with a vast range of specialist camera solutions. Conservation Media specializes in telling conservation science stories through award-winning film productions, photography, writing, and through narrative workshops for conservation professionals. While based in the northern Rocky Mountains, we also provide HD stock footage and production support for natural history productions throughout the American West and beyond. Contact us today to see how we can bring your vision into focus. Delicious is a full service music company specialising in original composition, live recording and all areas of audio production for wildlife film and TV. 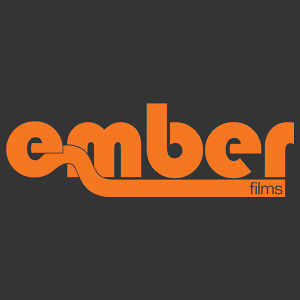 Environment Films is an independent production company based in central London, specialising in sophisticated films, documentaries and commercials for organisations whose work and interests are connected to the natural world. Environment Films produce media for television, the internet, DVD distribution and provide a non-profit service to charities. Hong Kong Based Factual Documentary support in Pacific and Central Asia. Hong Kong based Production Logistics company with a strong reach across Pacific, Central and East Asia. EPM is a reliable Western voice working at local level to ensure long and short production shoots are managed and supported to international standards. Concept development and basic research - limited Free service. Location Negotiation including tribal and local community negotiation. This list is representative only - EPM provides a comprehensive and full service to ensure your filming project meets expectation on time and to budget. 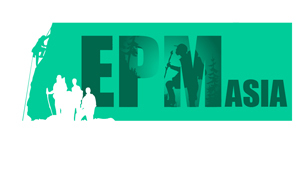 EPM has built over ten years a trusted name to support crews in a range on locations across Asia - from the streets of Hong Kong to the Jungles of Papua New Guinea our experience stands out for it no nonsense can do approach. Previous locations include, The Jungles of PNG, the Deserts of Mongolia, The mountains of Mainland China and Tibet, the lakes of Java and most recently remote Islands in Fiji and new and exciting locations in Myanmar. Douglas Lyon: Line Producer, Field Producer and founder of Excelman Productions. We are Producers, Production Managers, Line Producers, Field Producers, Journalists and Directors! We have 20 years of experience in more than 50 different countries, with an incredible network of contacts, and reliable veteran staff in each country! We have come to be known as "Africa specialists", but actually we began with Fashion and News, then Variety shows and Reality Shows, and although we love it all, but we must confess a particular passion for Broadcast News, Documentaries, and... well, you guessed it: Africa! 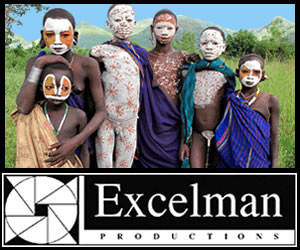 The primary vocation of Excelman Productions ranges from the complete production to simply the logistic management and co-ordination, of a wide spectrum of primarily audio-visual projects in video or film: hard news, documentaries, live satellite broadcasts, variety shows, reality shows, sports events, TV films, commercials, etc. In just a few years, after many prestigious shoots all over France, Europe and two dozen African nations (a total of more than 50 different countries), EXCELMAN Productions has become a privileged partner of all of the major Japanese television networks and production companies as well as the most prominent advertising agencies. Need a crew to tell your story? A Producer? Director? A Journalist? Contact Us! We work extensively throughout Europe and Africa and we would be delighted to suggest cost effective solutions in order to achieve results above and beyond your hopes and expectations! As concerns the wildlife film genre, strangely we have not done any! It is a mystery, but given our extensive experience in Africa, it would be very easy for us to handle the logistics of such projects, which is why I thought that Wildlife-Film.com might be good for us... We have, of course, for many of our Africa projects, tracked and filmed wild animals, and have a good idea of the difficulties involved... but we have never worked on a project dedicated strictly to the “Wildlife” theme... Yet! Pieter Huisman has a background in documentaries, having filmed in over 30 countries since 1998. He enjoys working as part of team, as well as on projects that require self-motivation and an independent mindset. Pieter’s love for nature, determination and patience are endless. Skills include using extreme telephoto lenses, macro, underwater, high speed filming, infrared nocturnal, remote controlled cameras and HD and 4K stock shots. He is also proficient as an editor and colourist. References include Channel 4, Animal Planet, Nature Conservation Films and National Geographic. Contact: Steven Ballantyne, FRGS, CEO, Producer, Field Director, Production Management, Location Scout & Management. Production Development. EPM Asia is a professional factual TV Production Logistics Service with bases in Hong Kong, Shanghai and the Philippines, providing a specialist service supporting productions to film in some of the remotest locations across Asia. With extensive experience of TV production logistics, planning and legal support in Pacific, Central and East Asia, MD Steven Ballantyne ( FRGS) and his local teams will provide a trusted and dedicated bespoke service for your production. 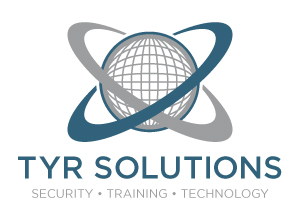 Threat Assessment, Risk Assessment and Health and Safety Evaluation. 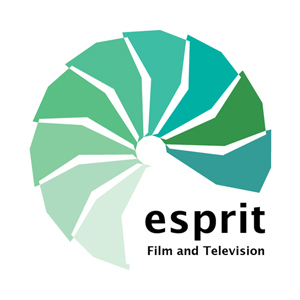 Esprit Film and Television provide advanced, state of the art Location Filming equipment and Filming services to create must watch content for the worlds best Film makers and Broadcasters. Whilst Esprit are leaders in Underwater Cinematography Esprit also work in the most remote, hostile but beautiful locations, filming the creatures and people with which we share our planet. We also facilitate recording wildlife sound and acoustic music. Esprit work to the highest standards creatively and technically, using both off the shelf equipment and also our own specially developed systems for stills, 2D and 3D photo-cinematography. Clients of Esprit can hire equipment and services as a package or we can design and build systems and facilities for individual projects. 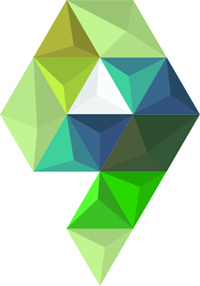 With over twelve years diverse experience Figure Nine provide Rope access, Rigging and Height Safety. We have experience working in Tropical forest canopies with Scientists and film crews. We are able to provide support for expedition, filming, Science and research and operate in Industrial, Urban and Remote locations. 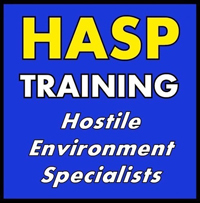 BESPOKE HOSTILE ENVIRONMENT TRAINING FOR FREELANCERS AND MEDIA TEAMS. We aim to "Prepare Not Scare". If you are embarking on an assignment overseas, you can sometimes find yourselves isolated, afraid or caught up in a situation that you can't handle. Despite your best intentions, trouble might come looking for you. A HASP course will equip you with a tool box of proven methods and techniques to ensure your safety. You will leave our care with more confidence, awareness and a range of new skills, which will enable you to operate safely and securely. We have several courses to choose from ranging from 2.5 to 5 days. 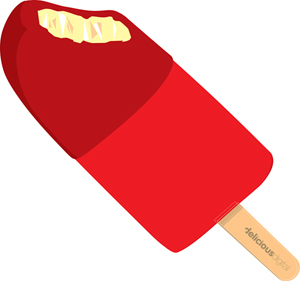 We have also designed a bespoke 2 day course which we have streamlined for freelancers on a budget. All courses provide the delegates with the opportunity to qualify for the Emergency First Aid Certificate. Course Snapshot: Our residential courses are run in Surrey or we can provide you with a mobile HASP team to run the training anywhere in the world. We run a well-paced, informative programme of training, with great emphasis on practical scenarios for the delegates to try out their new skills. The HASP Team Our security instructors are ex-British Army with a solid base of teaching experience, both to military and civilian audiences. Our medical instructors are UK Paramedics with years of front line experience. On completion of one of our courses, delegates will be able to deal with a wide variety of medical emergencies and situations and be awarded the Emergency First Aid Certificate (all covered in the cost of the course). 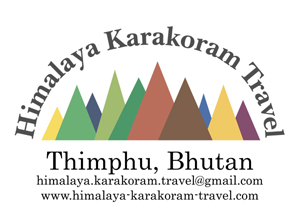 Welcome to Bhutan, the Land of the Thunder Dragon, and to Himalaya Karakoram Travel, your Fixer in Bhutan. If you are planning some filming in Bhutan, we can help. Bhutan has a lot to offer, Royal Bengal Tigers, Snow Leopards, Clouded Leopards, Black Necked Cranes, White Bellied Herons, Golden Langurs, Yetis and of course Thunder Dragons, all in the most beautiful landscapes and nature. Support to process and obtain all necessary permissions to film in Bhutan. Provision of local experienced assistance for your project. Arrangement of all necessary logistics. If there is something you need that is not on this list, just ask. Jungle Run Productions offers complete production services for Indonesia and SE Asia including: HD crews & kit, location and production management, film permit facilitation, fixers, translators, full post-production, graphics and stock footage. We've worked with broadcasters and producers from around the globe. Some of our clients include: broadcast clients: BBC (1, 2, 3, Panorama, & BBC World), National Geographic, Animal Planet, One Planet Pictures, ICON Films, Diverse Bristol, Ricochet, Disney Channel, ABC USA, MTV, Paramount Pictures, CNN, EBU, NOS Holland, E! TV. NGO collaborations include: The Nature Conservancy (TNC), WWF, CIFOR, IFC, UNDP, USAID. Field production support for British, Dutch, Brazilian, German, Indonesia, Taiwanese, American, Canadian and Singaporean television productions. We're looking to collaborate with serious producers and broadcasters to make great factual programs in Indonesia and SE Asia. We've worked throughout the region in some of the most remote regions that Asia serves up. Jungle Run has been operating since 1993 and is fully licensed for television production and distribution in Indonesia. 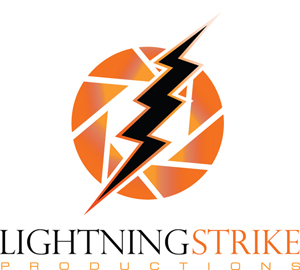 Media Production Company based in the Republic of Palau for 9 years. 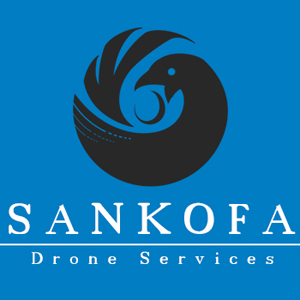 Catering to clients who require high quality Underwater, Topside, Time-lapse, Drone or Helicopter based footage or photography. With good experience of a wide range of cameras from Super UHD slomo and Cinematic systems using surface feed and comms for underwater work to heavy lift UAVs. A vast portfolio of stock footage and photos are available. Fixer for visiting production teams. We can organize everything from filming permits to accommodation. Previous clients include: BBC, Discovery Channel, Australian Broadcasting Corporation, Aljzeera, ZDF, CNN, Arte. 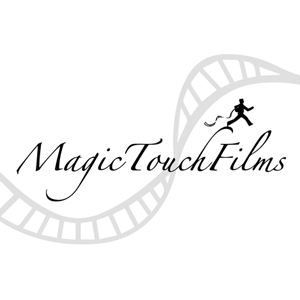 Magic Touch Films is an internationally renowned, established production service company based in Swakopmund, Namibia and is the newest acquisition of the IMWE Namibia Holdings group. 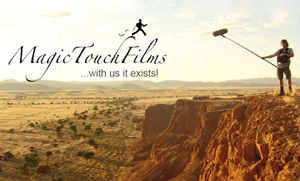 Magic Touch Films facilitates Adventure, Science, Wildlife, Humanitarian, Historical, Survival Documentaries and Reality Entertainment, throughout Namibia and neighbouring countries. With our expertise and knowhow, we are able to facilitate any size production, whether it is a small two man documentary crew or a large reality television production. We are energetic, ambitious and constantly evolving to give our clients great value for money and always deliver on time. We are passionate about our client’s subjects and our country. Our natural driven boldness will capture the imagination of any Reality TV and Documentary Producer or Broadcaster. With clients from all corners of the world, we are always pushing the boundaries to facilitate in the most extreme and challenging environments. We are reliable and easy to work with, for personal tailor made service, mixed with great experience and local knowledge, our clients are ensured of a successful project. We are passionately driven to stay ahead and are inspired by you the filmmaker. We have the touch to bring the magic to your production. 4x4 Sprinter crew cab hire with accredited driver; roof rack designed for camera use and add-ons for your remote shoooting requirements in and around South Africa. Option to hire 4x4 quad bike. 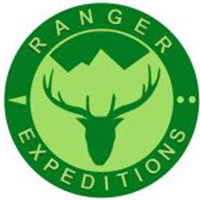 Ranger Expeditions provides pre-expedition training and skills training courses as excellent preparation for operations in wilderness environments. Our focus is on the successful achievement of your objectives combined with the safety of team personnel. In the field environmental experience includes: Savannah, Desert, Jungle, Volcanic, Altitude (6000m). Ranger Expedition leaders have extensive wilderness experience in over 20 African National Parks / Game Reserves. Our focus is on the successful achievement of your objectives combined with the safety of team personnel. 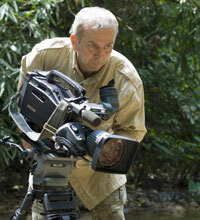 Pasternak Media LLC specializes in supervision of wildlife and conservation films for broadcast television. We work for, and directly with, producers of wildlife programming. We will help you develop and pitch your concept, and supervise it through completion. Focus is telling the best possible story. Acting as an outside voice, we give the broadcaster confidence that your film will meet their needs, and at the same time, help make sure your original vision doesn't get lost in the process. Kathryn Pasternak has won two National Emmy Awards and has been nominated for two more, including most recently for Swamp Troop which was the product of first time, African-based producers. She has a twenty-year track record supervising projects for National Geographic Television, NGC, Animal Planet, and Smithsonian Networks. Looking for presenter-led, pure wildlife, and conservation-themed stories. Can consult on co-productions. Photoguerra - Underwater Productions, Lda. Based in Portugal, our main grounds for underwater filming are Azores islands, Madeira islands and Portugal mainland. But we are available to work anywhere in the world, for how long it takes to capture the footage you are after. We are a company specialized in underwater filming (and photography) in all kind of environments. Rui Guerra, the key person behind it, has more than 30 years experience as a diver and more than 20 years in underwater image. From underwater caves, rivers, lakes, under the ice, reefs and coastal seas, off-shore marine wildlife and deepwater environments, we can film where is needed. We use specialized underwater housings for our work from top brands to have 100% control of our cameras, including our main cinema RED Weapon camera. We also have several autonomous underwater lighting systems to bring you the full colors from any scene. We use a closed-circuit rebreather to stay longer, deeper, safer and without noise or bubbles to disturb marine life. Of course, that we also have regular scuba equipment and we can also free dive to capture fast ocean action, like whales and dolphins. Besides underwater filming and photography, underwater time-lapse is also one of our specialities. We have the equipment, the skills, the experience and know-how to capture the footage you need for your documentary, feature film, commercial, etc. Production value and a personal relationship with our customers are a priority for us. Talk to us! Andrew Wilson is a Film and TV Re-Recording mixer working either from his own purpose-built mixing facility based at Real World Studios near Bath or freelance from the facility of your choice. He's done pretty much every aspect of sound post over the years and has a load of award nominations to back it up. He is arguably the single most experienced natural history sound mixer working today. 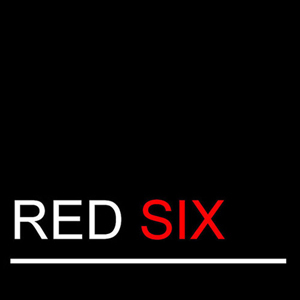 An ever-growing portfolio of freelance sound people and an extensive range of equipment means Red Six can provide bespoke sound work for all projects, from location to delivery, from mute to mixed. 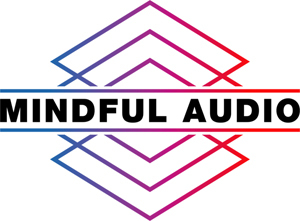 Andrew is a member of BAFTA, a council member of the Association of Motion Picture Sound, and is probably the only Re-Recording mixer ever to have played the sousaphone at Glastonbury Festival. Camera Operator and Editing Services, specialising in Natural History, but also available for ENG Camera Work, Corporate and Documentaries. Television credits with BBC, CNN, Discovery and Quest. Luke is a fully licensed, insured and CAA approved drone pilot based in West Midlands, UK. Luke has a passion for all things natural, wildlife, landscapes and travel. Luke has many years’ experience flying drones and started by using a phantom 2. He says "My number one goal is to see my name or company name in the credits of a Wildlife film." Luke is willing to travel to capture amazing 4k drone footage and stills photography. Check out his 4K showreel! 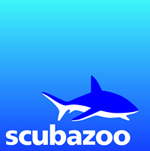 Scubazoo are South East Asia’s leading underwater filming and photography company. Based in Kota Kinabalu, Sabah, Malaysia, on the island of Borneo, we are dedicated to producing high quality programming, and providing filming services such as location management and equipment hire for our clients. Scubazoo’s team has a wealth of underwater imaging experience – our scope of work has ranged over a broad spectrum of different projects, including filming and location management for productions filmed in Malaysia, Indonesia, Philippines, Tonga, South Africa, US, Canada, Thailand, Mozambique and more for broadcast on channels such as BBC, National Geographic, Discovery, Animal Planet, CNN, and ITV. Scubazoo has an extensive inventory of TV production equipment for both topside and underwater filming located within Malaysia. Hiring video camera equipment from Scubazoo can save your production significant amounts of money by reducing excess baggage charges and freight costs to Borneo or elsewhere in Malaysia..
Scubazoo’s publications department has built up a large and diverse library of beautiful and memorable photographic images. Aside from our own coffee table books, reef and Sabah’s Underwater Treasure, our images have appeared in magazine articles, books, posters, brochures and advertising campaigns all over the world. Seedling Media makes wildlife and conservation related films for television and the web. We also offer stock video footage, imagery and sounds of the Amazon Rainforest. 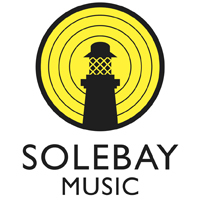 Frank Pescod is a unique sound composer and director of his own music production company Solebay Music. Frank covers many genres and styles using the latest technology working out of his studio based on the Suffolk coast. Solebay Music is a top recording facility capable of tracking live to picture or delivering music to brief. Clients include: BBC1, BBC 2, CHANNEL 4, Masterchef, Homes under the hammer, Bargain Hunt, Place in the sun, Harley Davidson, Louis Vuitton, River Island, Triumph, Mahogany Hair Design, Fit 4 fashion and many more. Media and production based in Indonesia. 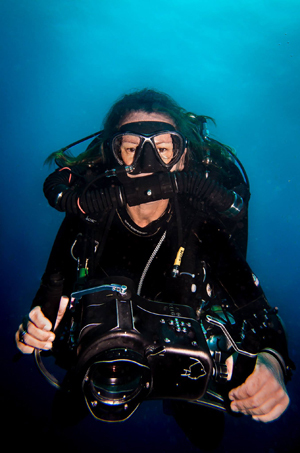 Experienced underwater and topside camera person, documentary maker and award winning filmmaker. Both pre and post production, rebreather certified to 100m, with all own dive and camera equipment. Some local language and extensive local contacts. 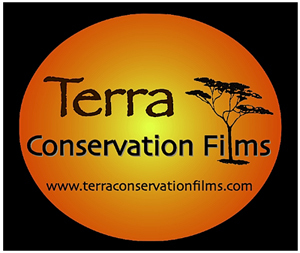 Terra Conservation Films is an award-winning production company specialized in working with non-profit organizations and nature enterprises to make documentaries focusing on the conservation of the natural world and the interaction between people and the environment. If you need a video to fundraise, increase your outreach, raise awareness and promote action, Terra Conservation Films can assist you in finding the best approach through films of unique visual and conceptual impact. We use broadcast-quality audio and video equipment to always deliver to you top quality services. TERRA CONSERVATION FILMS showreel from Terra Conservation Films. 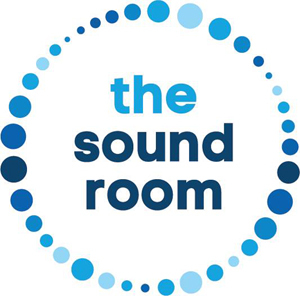 The Sound Room Ltd (est. 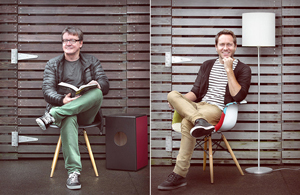 2003) is based in Auckland, New Zealand and is run by composers/producers Tom Fox and Marshall Smith. The Sound Room writes and produces music and sound design for film and TV all around the world. 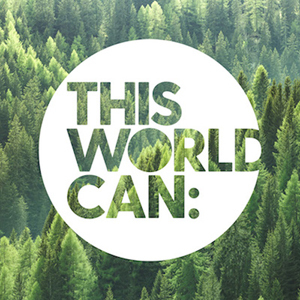 A production company with a clear vision - to inspire people, business leaders and governments to be more considerate of each other and the planet. We have comprehensive production and post production facilities. In house facilities include a Redone, Epic, Scarlet, besides 3 HD cameras, 100KW of lighting, grip, jibs, track and dollies, sliders and qualified personnel. Post facilities include two real time 4K/2K/HD-edit suites, and a digital sound studio. 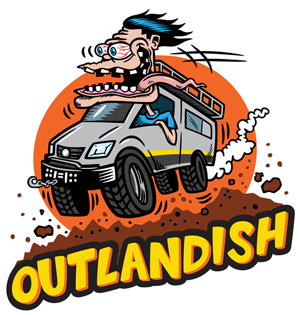 We have specially prepared 4X4 vehicles with rooftop tents and extensive camping and outdoor gear for filming and living in remote areas. This is backed by an experienced crew who multi-task. See a VFX promo here! 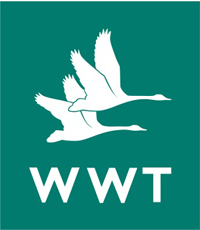 Small media production team based at WWT HQ in Slimbridge, Gloucestershire. Providing full media production services to the organisation and it's partners. We have a large archive of footage covering wildlife, conservation in action, people in nature. We are passionate individuals who have left our high profile corporate positions to pursue our passion for filming. We produce films and documentaries covering natural history as well as conservation challenges. We also create film on social issues. Stock: We have a good collection of Full HD stock footage as well as high resolution stills of various rare natural history moments. 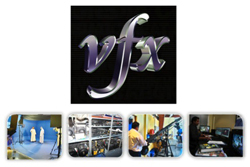 Production Services: We offer full production services from conception to project completion. Research: Our team is well versed in undertaking research to come out with ideas not used before in any other films, tie-up experts, researchers working in the field as well as officials for interviews etc. Location: Our experience will help you in narrowing down on the location and undertake any location scouting if required, along the length and breadth of India. On location Editing & Logistics: We also offer on location editing services during the shooting stage so that the director is able to review the footage as well as the flow of the film and it gives the flexibility to reschedule the shoot and fine-tune the logistics requirements. Given the length and breadth of India, we ensure the most efficient logistics planning for the shoot. Filming Equipment Rentals & Crew: For ease of foreign crew, we offer filming equipment rentals including Canon cinema cameras, DSLRs, Go Pro cameras, lenses, OConnor fluid heads, tripods, rigs, hides, sound equipment etc as well as crew to operate the equipment. Music: Our talented music composers are always ready to create original scores for your films, documentaries, jingles and music videos by collaborating with you online. I am a freelance Motion Graphics designer. 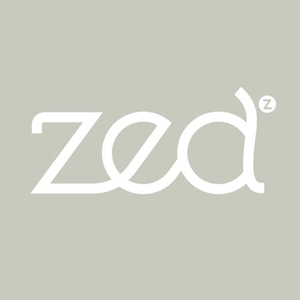 I have worked in the design industry for over 23 years, the last 12 years as a creative director. I have a passion for wildlife and conservation and I have a particular love for Africa, having travelled quite extensively through the southern half of the continent.